The training which was held under the broad themes: Alumni Database and Social Media Platforms, discussed topics such as assessing UEW database, uploading of alumni data, search and retrieval of records, engagement of alumni through database system, doing bulk SMS, overview and identification of various social media, creating year course group on selected social media platforms and linking of Alumni contacts to selected platforms. The Deputy Registrar in charge of the Division of Human Resource, Mrs. Christie Okae-Anti, who represented the Registrar at the training, underscored the need for such regular trainings to be held for staff of the office to enhance their skills in handling the Alumni page. She was of the view that, the Alumni Database page of UEW plays key role in projecting the works and achievements of the University through its Alumni constituent. She urged participants to put to good use, the knowledge and skills acquired during the training to enhance the work they do. She highlighted the need to bring on board the entire Alumni of the University, including, Distance Education and international students, and not only focus on graduate students on the Winneba campus. She again encouraged participants to regularly flag important speeches and achievements of prominent alumni on the University’s website to make visible for wider readership. The Webmaster, Mr. Emmanuel Kutorglo, who facilitated the workshop, took participants through series of practical sessions to help them grasp the necessary skills and also familiarise themselves with the management of the Alumni Database. He remarked that “It does not make sense for a student to travel all the way from Tamale to Winneba to transact a simple business such as applying for academic transcript or making an enquiry into what programme to apply for”. To forestall this and other similar challenges, he tasked participants to upload all relevant information on the University; including research and creative news to meet the needs of alumni wherever they are. He tasked participants to use the knowledge they have acquired to solve problems of students and alumni and carefully moderate and edit any information that will be put across. 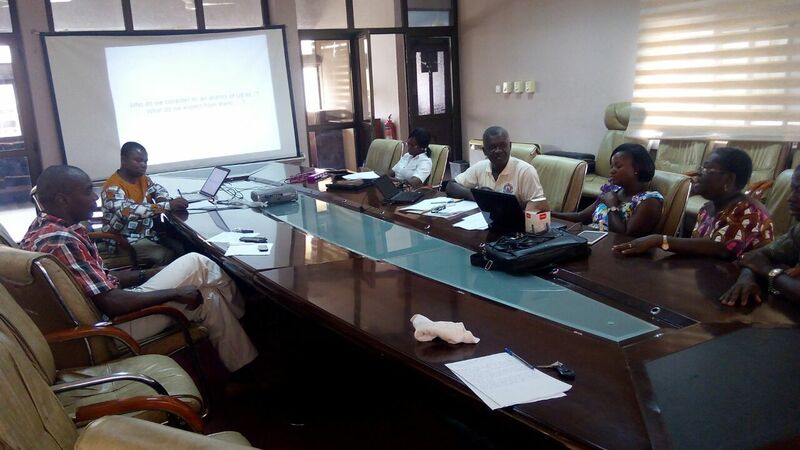 The workshop was coordinated by Mr. Isaac Darkoh, Staff Training and Development, Division of Human Resources.